For what feels like the fiftieth time this spring, the Cincinnati Reds played to a tie. Taking on Cleveland at home in Goodyear both teams scored nine runs through nine innings and decided that enough was enough. This afternoon they will hit the road to take on the Colorado Rockies at 4:05pm ET. Also scheduled to pitch today for the Cincinnati Reds:David Hernandez, Raisel Iglesias, Wandy Peralta, Matt Wisler, and Buddy Boshers. The game will be live on the Reds on Radio network. In Cincinnati the game will be on 700 WLW. You will be able to watch the game live on MLB Network and on MLB.tv. That looks like an opening day lineup for the Rockies. Mahle will have his hands full today, but I hope he acquits himself well though. This could be a big day for Mahle and where he begins the season at. He’ll probably make one more start before Opening Day arrives. Wood is down and won’t be ready for Opening Day. Castillo doesn’t look like one of the best 5 starters going out there. 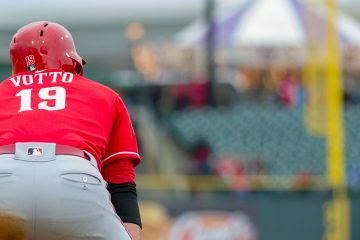 Castillo may be better off starting out at AAA Louisville instead of being the Reds #5 starter. At present time Castillo looks more like a #5 starter, and he may only be the Reds 6th or 7th best starter that is going out there to the mound. The only thing Castillo has displayed this spring is that the expectations for him may be waaaaaay too high. It has been a very disappointing spring regarding Luis Castillo. Winker may be in the same boat as Castillo. 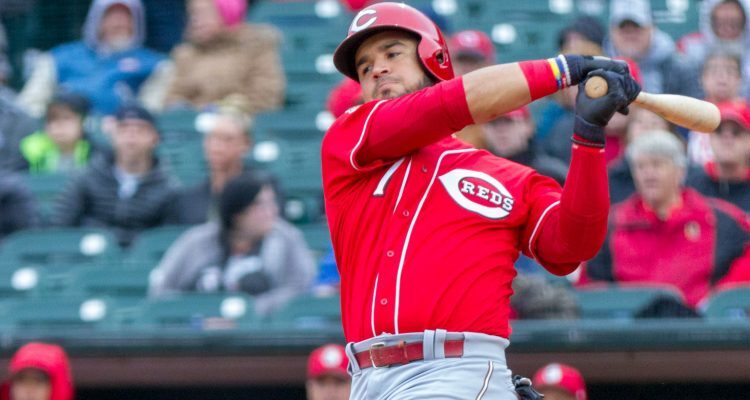 Time is running out to turn spring performances around for a lot of Reds players. How ironic would it be for Winker, Senzel, and Castillo to all start out the season in Louisville?? Spring Training is a time to be working on various aspects of the game. . .Castillo was fine the other day. If it wasn’t for the Alfonse & Gaston routine in right-center field from Senzel and Puig that went for a triple and a bunch of “earned” runs, there would have been 0 damage. Winker has an 897 OPS for his career so far. That would be 17th among all MLB outfielders in that time-frame if he had enough at-bats to qualify. I’m going to take that over the 30+ at-bats he’s had so far in spring training. Similar story with Castillo’s body of work over the last 2 seasons rather than 8 spring training innings. Maybe, if Senzel continues to struggle, you could use that as an excuse to start him in AAA. A slow spring training at the plate along with limited experience in center field could be a reasonable justification to not being on the big league roster on opening day. For Winker, Senzel and pretty much everyone else on the roster, their performance over their career should mean much more than their spring training stats. WV, you sure put a lot of weight on small spring sample sizes. 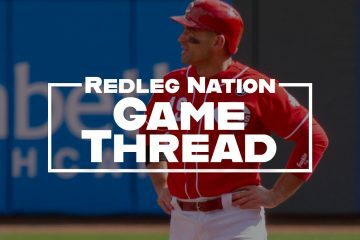 Should the Reds considering DFA’g Votto? Ordinarily spring doesn’t matter much, but with a whole new coaching staff, spring training has taken on new importance for this year. No, I am not too concerned with sample size. Roster size is the thing to consider. Votto, Gennett, Peraza, Suarez, Barnhart, Kemp, Schebler, and Puig make for 8. The bench of Ervin, Casali, Iglesias and Dietrich make for 12. Is Bell going to carry 12 pitchers or 13 pitchers?? I Don’t know what to expect from Bell on roster decisions. Winker, with options, a bad spring, and coming off shoulder surgery, may have to start the season at AAA. I hope not, but I realize it could be a possibility. The 4 other OF are having superb springs and that cannot be discounted or neglected. Where is the room on the roster? It is pretty tight right now. I know this is spring training. But Schebler and Kemp were starting OF last year. Senzel has shown nothing to show he is superior to Schebler. Since there is a control issue and he clearly did not beat out Schebler this spring he is in Louisville. I am not sure how anyone can make a argument to the contrary. I understand the argument that spring training is irrelevant to Joey Votto. That is not the case for someone who has not had a full season of AB in AAA. He has two weeks left to turn it around but I think Senzel opens in Louisville. Schebler will be in CF on opening day and it isn’t even close. The interesting battle is Kemp/Winker. Kemp is in a contract year. His last contract year he put up a career best .399 OBP. His last contract year he put up a career best .586 SLG%. I am not sure how this battle plays out. A month ago I felt this was Winker’s spot to lose. Question is, did he lose it? The last two weeks will tell. I could without a doubt see opening day OF spots go to Kemp/Schebler/Puig/Ervin at this point. Couldn’t agree more with your post. Kemp has outplayed Winker and deserves to start. Schebler goes oppo off a lefty !!!!!!! Hard drive over the wall for Schebler. Ervin keeps hitting (1.307 OPS). Schebler keeps hitting (1.268 OPS). Puig keeps hitting (1.272 OPS). Things do work themselves out (if given enough time). But, time is definitely finite as far as spring training is concerned. Spring stats are used in whatever way the team decides to use them.Vets get a pass because of the money and the back of their baseball card.Young uns have neither of those so it becomes what somebody else thinks.Winker’s numbers are terrible and only Votto’s are worse.Both will start opening day even if they never get another this spring. As long as Winker is healthy he’ll be on the opening day roster. Mahle isn’t sharp at all. Nice to see him mixing in some curves because the fastball is getting hammered. I’d rather roll the dice with BobSteve. First subpar outing for Mahle. You’d crap out rolling dice for RS. Robert Stephenson (call me Bob) has a sore shoulder. Has he pitched at all this Spring? Nuxhall used to say that there was a period of time in ST when the pitcher’s arms felt “dead”, in other words, they were fatigued and not enough conditioning yet. So they bounce back after a “dead arm” outing. If Mahle is getting hammered, I would like to just chalk it up to that, and see how he pitches the next time out. After Roark, Gray and Disco the starting rotation is looking thin. Wood won’t be ready for opening day and Castillo and Mahle have not shown much. Time to strecht other guys (Lorenzen, Wisler, Reed). Mahle hadn’t given up a run until today. Castillo was much better in his last outing. Two good arms going through ST. They’ll be fine. The last spring training game in AZ is this coming Sunday. Next Monday is an off day and then the Reds have 2 exhibition games in ATL of all places. Time is short and space on the roster is very limited. I would imagine the Reds will set their Opening Day roster by Sunday evening. Time is short. One could make a case for Phillip Ervin getting more PT in Center. Ervin has had a nice spring. The Reds will use that to make him the 5th outfielder for Opening Day. Ervin has major league experience. The Reds need reasons to send Senzel to AAA for service time issues. Giving him more every day CF time in AAA to develop a new position is one argument. Phil Ervin’s strong spring gives them the best 25 players argument and its hard to argue Senzel is one of the best 3 outfielders on the Reds right now. Schebler is ok in center and gives you an a solid at bat. Puig is good in RF. Winker will hit if he’s healthy. Ervin is good depth with power and versatility from the right side and Kemp in GABP needs at least a look. Senzel is simply screwed in the short term for a team already looking for reasons to get an extra year of service time. Suarez at 3b, Gennett at 2b and Puig, Schebler, WInker, Kemp, and Ervin in the OF. Time will sort all this out for Senzel, but not by Thursday March 28th. His MLB debut has been blocked for a month. This is a very valid scenario. Ervin showed me last year that he can hit. His defense? Well, that’s still to be determined. It seems clear to me that he will either be a platoon regular outfielder this year, or be ready to fill the gap(s) left by the departure of Kemp and-or Puig. Sounds like you’d be a great salesman. Other than Wood, who’s the left-handed starter? Noticed Yankees grabbing Gio on minors deal. Since we have his old pitching coach, I guess he must really stink eh? Yes. He’s Arroyo without the control. So far this spring has been an extension of 2018. We just don’t create enough run scoring plays. Plenty of base runners but there just seems to be no plan to get them home. It’s like the base runner and batter aren’t on the same page most of the time. I feel like with the Reds once you get on base your job is done. It’s totally the responsibility of the batter to drive you in. I know I am old but with the BRM and1990 club your job was just beginning when you got on base. The responsibility of scoring was equally divided between runner and batter. Their baserunning was as bad as I’ve ever seen last year. Lets see if Bell can clean it up. Imo Votto was the worst of the bunch. Not just slow, but couldn’t read the ball off the bat? Winker is horrible too….slow and indecisive. Thats stuff that can be cleaned up though. WOW!! The Angels and Mike Trout are about to sign a contract extension. No free agency for Trout. The East Coast teams, particularly the Yankees are going to miss out on Arenado and now Trout. Trout now owns largest extension of any player in any sport. Ever. He is on the very short list of athletes who deserve that distinction. Looks like that idea of the owners working together to keep the cost of contracts down just went out the window.What happens next?Wonder what the singing cowboy Gene Autry would say if he were alive today.Better yet I wonder what his horse Champion would think.